Find out what inspired children’s mindfulness practitioner Nicola Harvey to write her book, Mindful Little Yogis. I’m an education writer, children’s mindfulness practitioner, and the author of Mindful Little Yogis: Self-Regulation Tools to Empower Kids with Special Needs to Breathe and Relax. The idea came from my experiences in the classroom. I originally trained and qualified as a special needs teacher and worked for nearly 10 years teaching primary and secondary aged children with a range of learning abilities, including dyslexia, dyspraxia and autistic spectrum conditions. How did you move from idea to actual book? As a children’s yoga and mindfulness enthusiast, I decided to write a blog about my experiences of class teaching and using yoga and mindfulness as a calming strategy in the classroom. I wanted to include breathing exercises, yoga game and positive strategies which I applied in my teaching practice. It became a consistent theme within my blog that children with special educational needs often feel overwhelmed when it comes to classroom expectations and daily routines, which tended to result in anxiety, stress and other issues affecting their mental health and wellbeing. This provided me with the inspiration to write the content for my book Mindful Little Yogis which was published in August 2018 by Singing Dragon, an imprint of Jessica Kingsley Publishers. The book is currently being distributed worldwide from the UK and USA, which is very exciting! 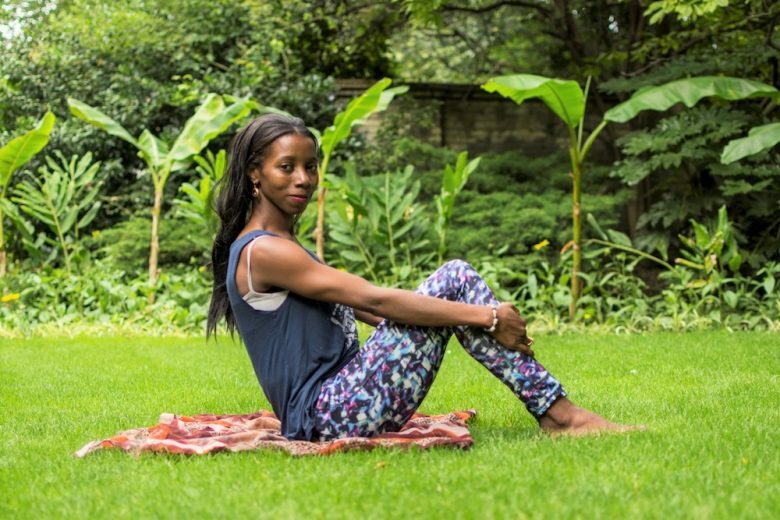 Mindful Little Yogis provides inclusive, practical and step-by-step mindfulness activities for children and young people with special needs, as well as neurotypical children. Mindful Little Yogis also provides an insight into educational research, early development goals and positive strategies to practice mindfulness at home or school. There is great emphasis in the book on the fact that children need consistent positive messaging from the adults in their lives, particularly as children are like sponges often absorbing everything we say, do and feel. Parents, carers, teachers, therapists and any groups supporting children and young people with a range of learning needs. The content can be used in mainstream as well as special needs settings. 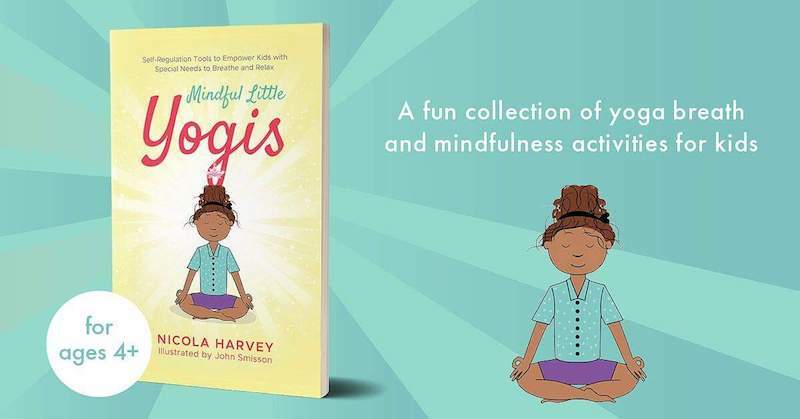 I promote Mindful Little Yogis at book events and deliver mindfulness sessions to children at these events, so parents can see for themselves how to put the content from the book into practice. In addition, word of mouth and public speaking engagements to the education community, has really helped spread the word, as people have been incredibly supportive. I also have a social media presence on Twitter and Facebook. I also have a YouTube channel and plan to create regular Vlogs. Click here to see promo video for the book. What’s been your most successful promotional opportunity? 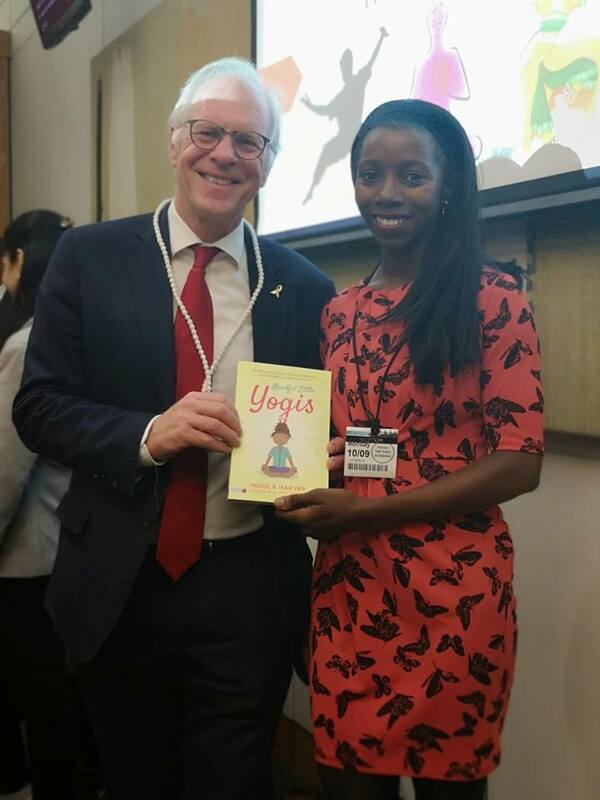 Attending an event at the House of Commons, hosted by Nic Dakin MP to celebrate how yoga, dance and other physical activities benefit our mental health and emotional wellbeing. As Nic Dakin is a former school principal, and now a member of Parliament, it was great to see him take a keen interest in this field, including my book. The biggest obstacles in the classroom are the funding cuts and changes to education policy, which continues to have an impact on the resources available within schools, particularly in deprived areas. This in turn affects the range of inclusive opportunities available for children. Inclusion has always been key for me – regardless of a child’s background, every child deserves a chance to receive an education, be understood and feel supported. Unfortunately, this is not always the case due to lack of resources. I feel incredibly proud to be a published author. Writing this book has been a personal journey with many ups and downs, so it’s a huge achievement to see the printed final publication. I’m also incredibly humbled and proud to know that the concepts within my book have the ability to change the lives of children all over the world. Mental health is a vital issue which impacts people from all walks of life. This work is important to me because I am incredibly passionate about inclusion within special education needs. I want Mindful Little Yogis to make a lasting impact on the lives of children in special needs settings and mainstream environments. When we develop children’s ability to use mindfulness as an inclusive and calming self-regulation tool, it builds their self-esteem, emotional intelligence and makes them feel more grounded from within. My role models are Michelle Obama, Maya Angelou and Oprah. These incredible women are/were authentic, passionate about life and creative, with so much wisdom, and continue to inspire millions of people worldwide. Be yourself – there’s only one of you, so live your life and be proud of who you are and how far you have come. Never give up, no matter how hard things get or what people have to say– focus and keep going, because you’ll get there in the end! Stay humble with both feet on the ground – and take nothing for granted. You can find Nicola’s book on Amazon.